Data analytics designed for you dig into a consolidated view of your actual product, customer and financial data. Eliminate doubt, wonder and wishful thinking. Uncover what’s really going on in your business. 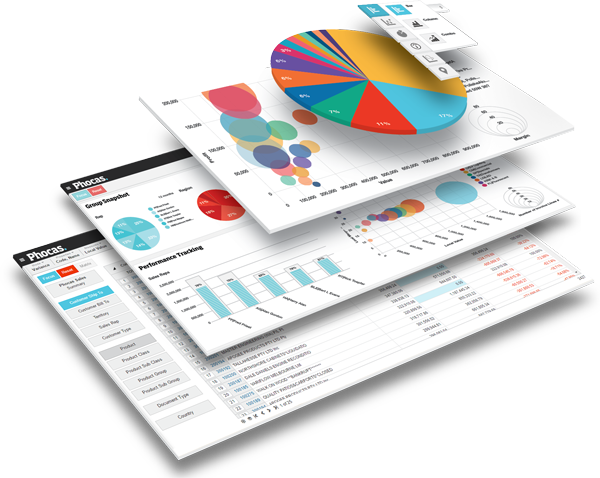 Lightning fast business intelligence that does away with spreadsheets and business analysts. Get data in seconds on sales, inventory, forecasts, prices, profit margins, people and budgets. Interrogate data on the fly, identify trends, track performance, see new opportunities. Work smarter on your business.